This website www.aristocratpokie.com is not associated with, connected with or endorsed by Aristocrat Technologies or any of its related business companies. We do not wish to suggest or imply any connections with Aristocrat in any way shape or form. This is a site reviewing online casinos that offer the online versions of the Aristocrat casino games and other suppliers. Australian based players cannot access or sign-up to play Aristocrat real play games online from any legitimate web casino at this point in time. The free games we have on our site our not hosted on our servers / website but embedded from other sites. We cannot guarantee the games will play or not for you as they may have geographic restrictions on some countrys that we do not control. All the games provided are play for fun only, you cannot register with us or open a real gambling account for this site. These games should not be considered an accurate emulation of land based or online casino games. This site has no geo-based limitations on where it can and cannot be viewed; we do not wish to promote this site to any persons where this is not legal to do so. We ask persons who should not view this online casino information contained here to leave this site. If you are not sure about your local regulations concerning this please check with your laws before viewing this website. This site offers links to online casinos and if you choose to play in these casinos and have the legal rights to do so you can win and lose money. We accept no responsibility for your wins or loss from engagement with any of our site links to casino sites. If you have the legal right to gamble online please do this responsibly and do not gamble what you cannot afford to lose. Gambling of any form should be enjoyed as a form of entertainment and not a way to make money. The use of any name, marks or logos on this site are for identification purposes only and remain the property of the companies involved. The views expressed on this site are opinions only of this site, content in places may be subject to being outdated and not accurate as time goes by due to casinos updating their content and terms / conditions. 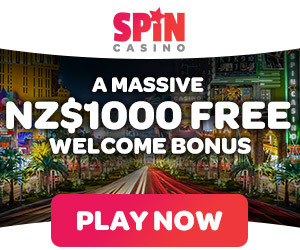 Ok so have fun, enjoy and good luck; hope you get some of those cool Aristocrat pokies winning noises even if they are only from playing our free games! Google + Profile: Tina Lim on November 28, 2012. on May 27, 2014.